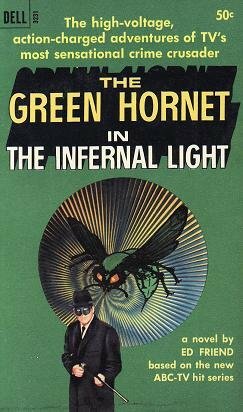 The Hornet Scanner shown doesn't match the one used in the series. 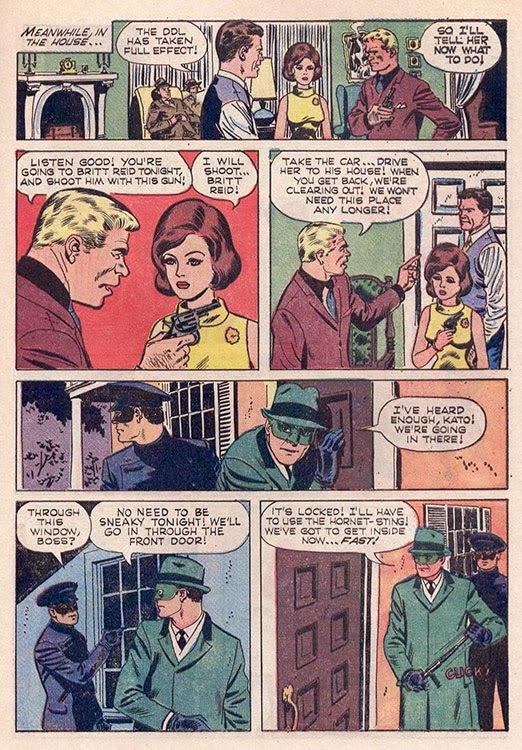 Perhaps artist Dan Spiegle didn't have photo reference for it? 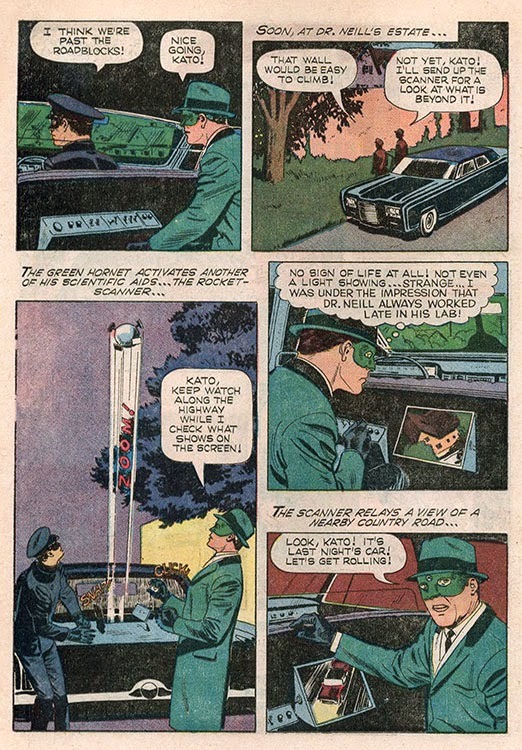 On the series, it's only shown in close-up shots of the rear hood, so its' design might not have been finalized and filmed when the live-action footage was shot, and photos from it provided for licensees' reference! 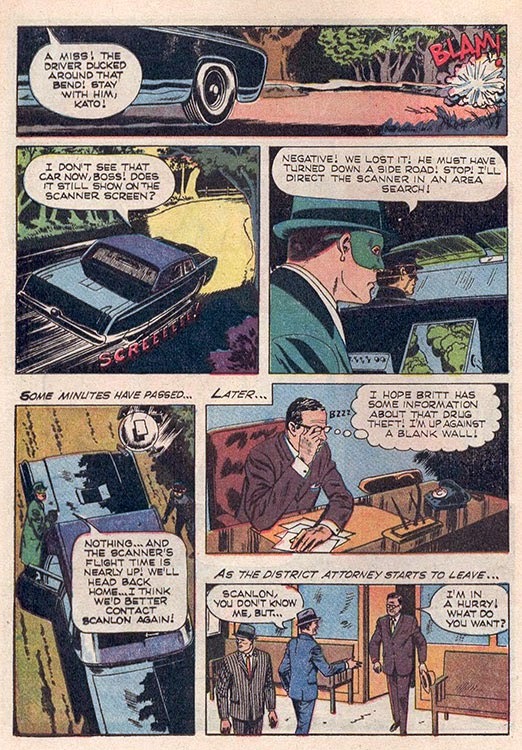 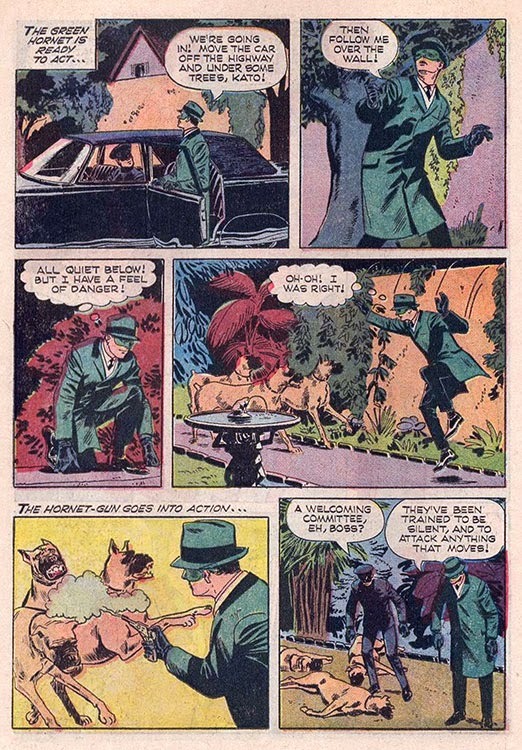 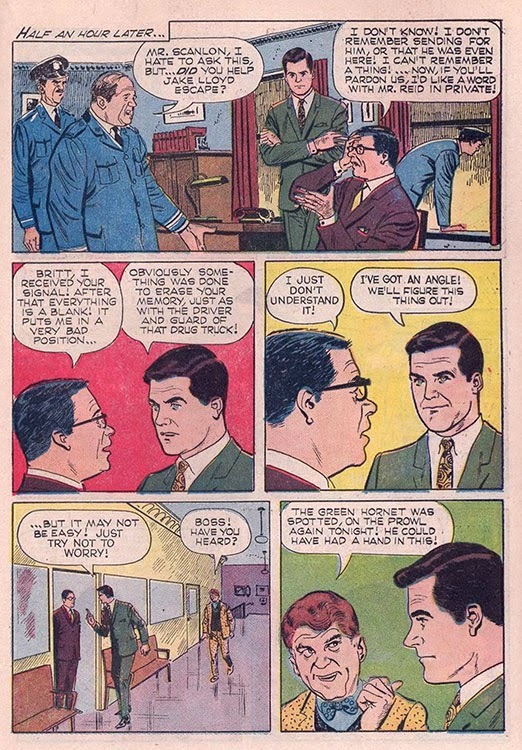 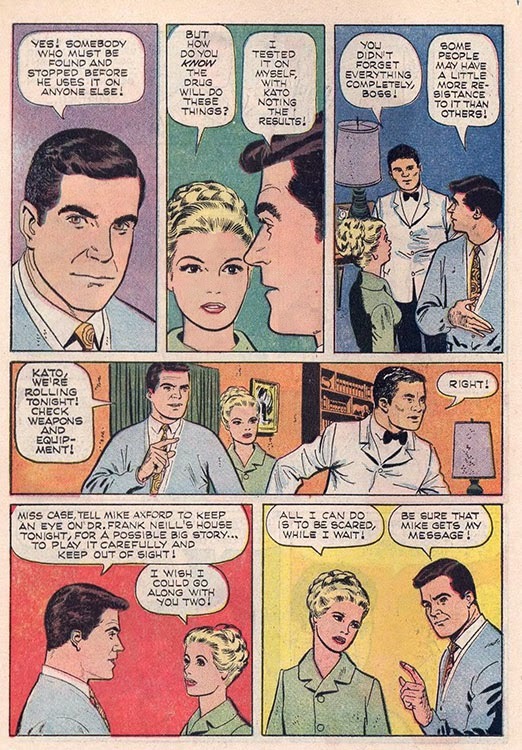 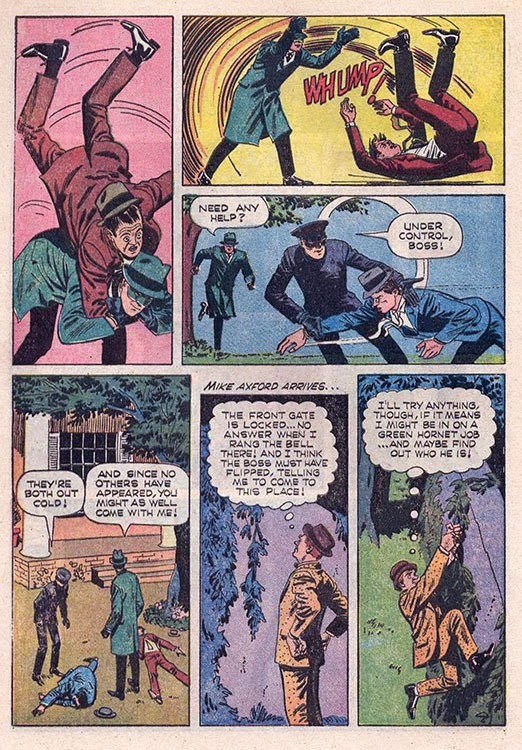 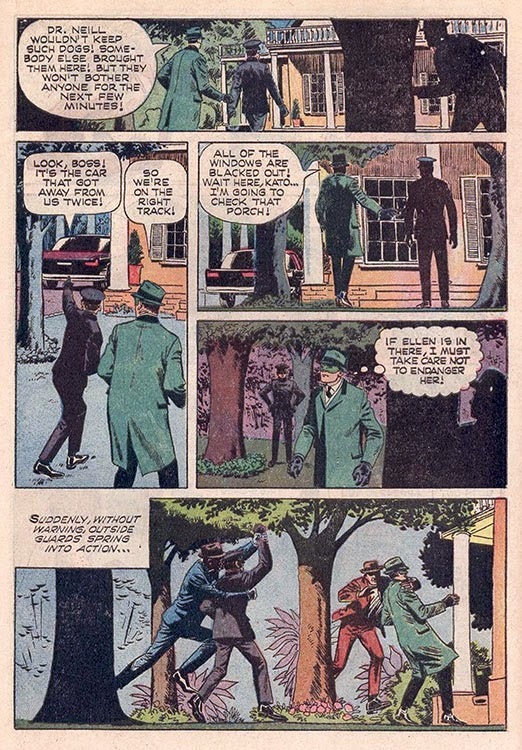 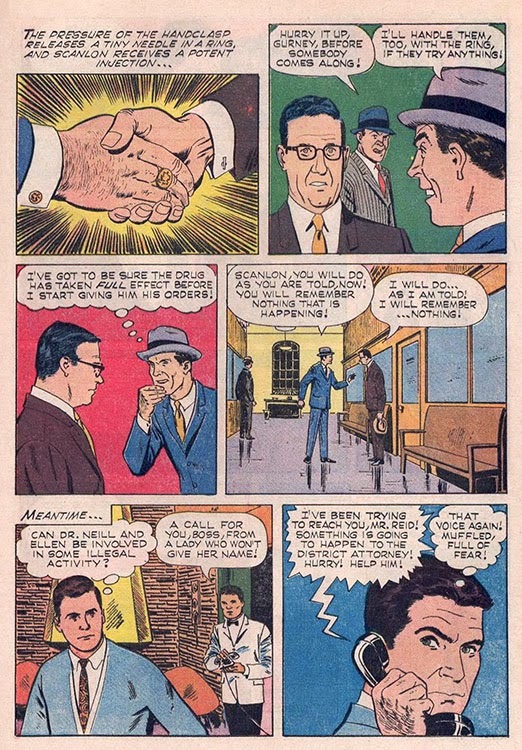 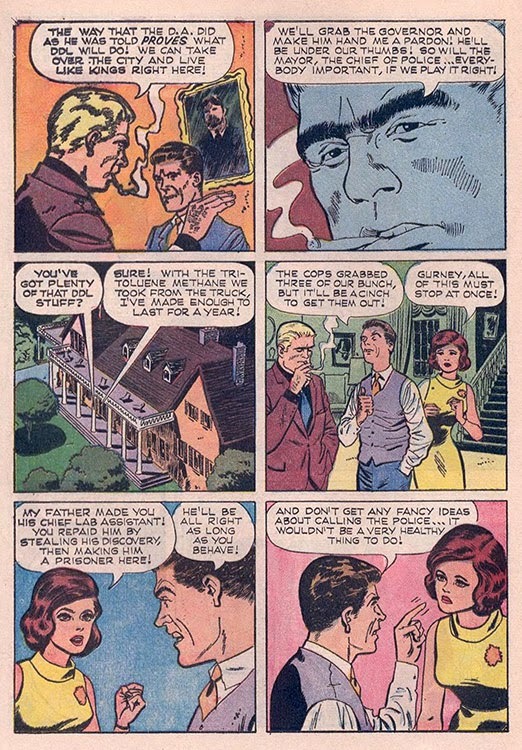 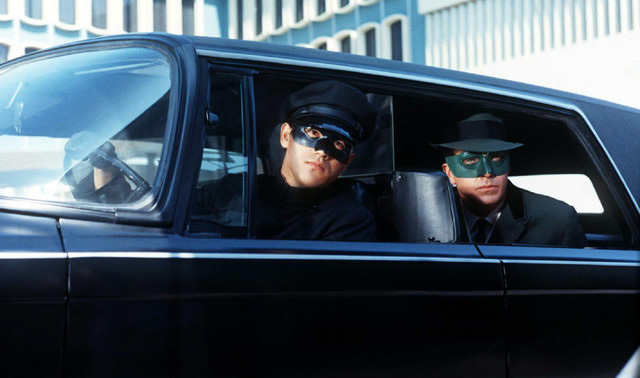 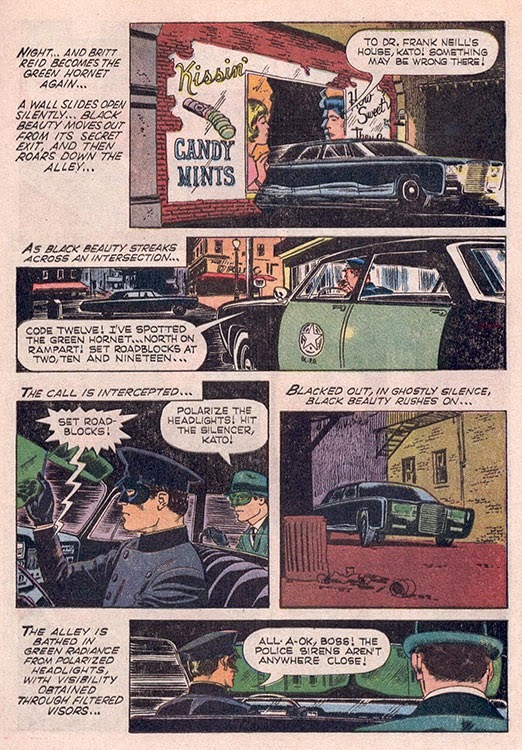 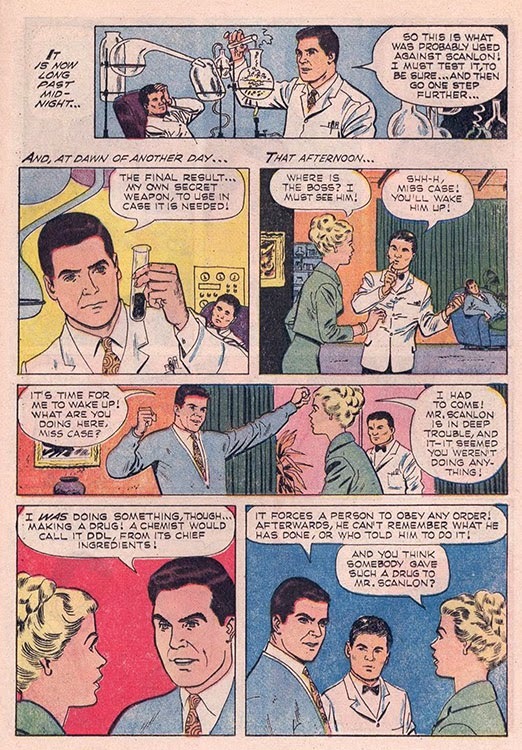 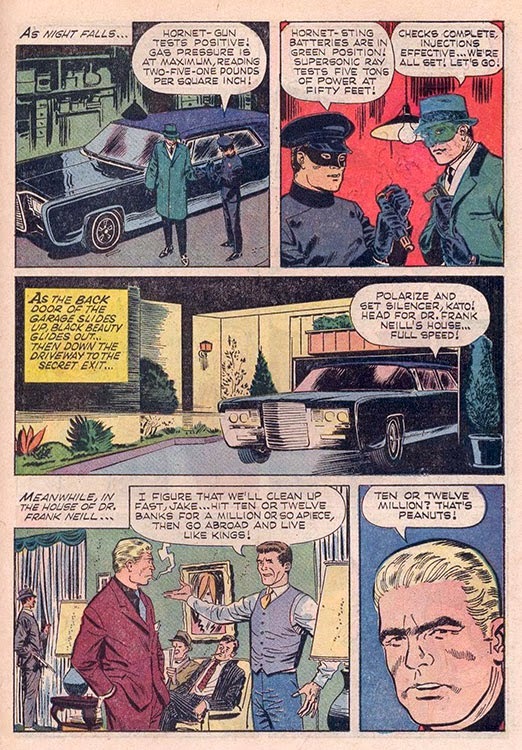 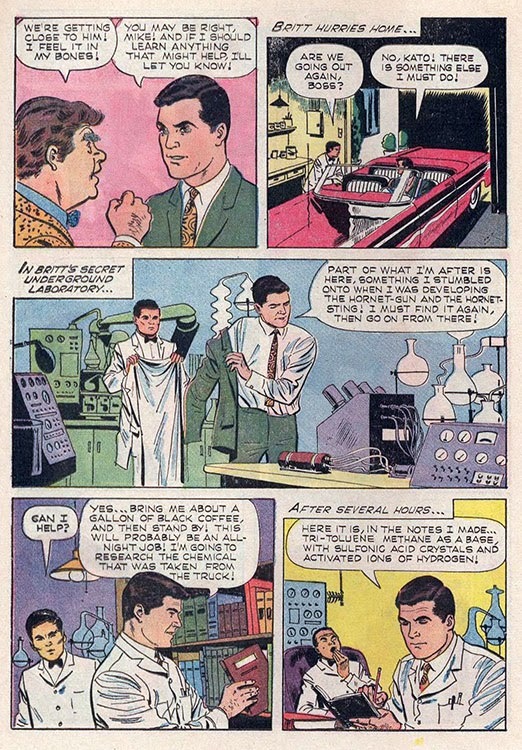 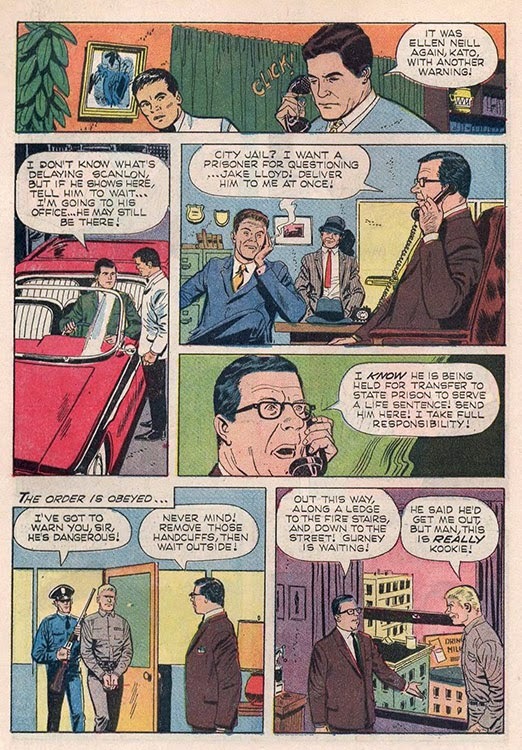 In all the earlier versions (radio, movie serials, and comics) of the characters, Kato is clearly shown to be the scientific expert of the pair, while Britt is more the strategist and "front man" who faces down the criminals. 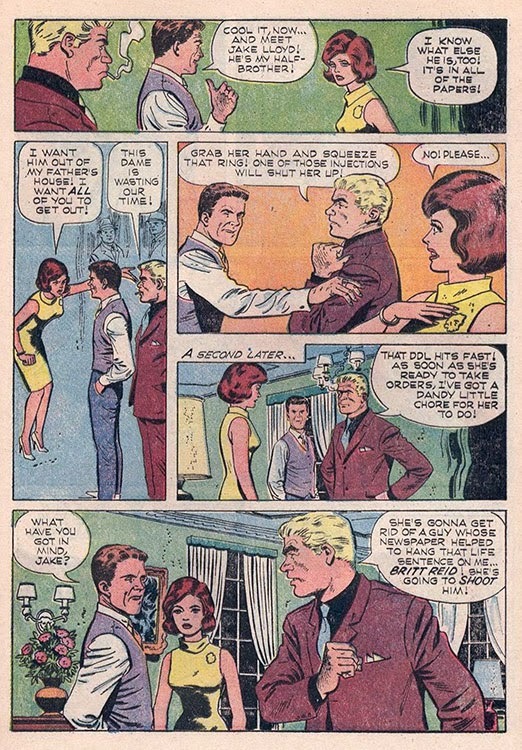 On the TV series itself, the matter is never addressed. 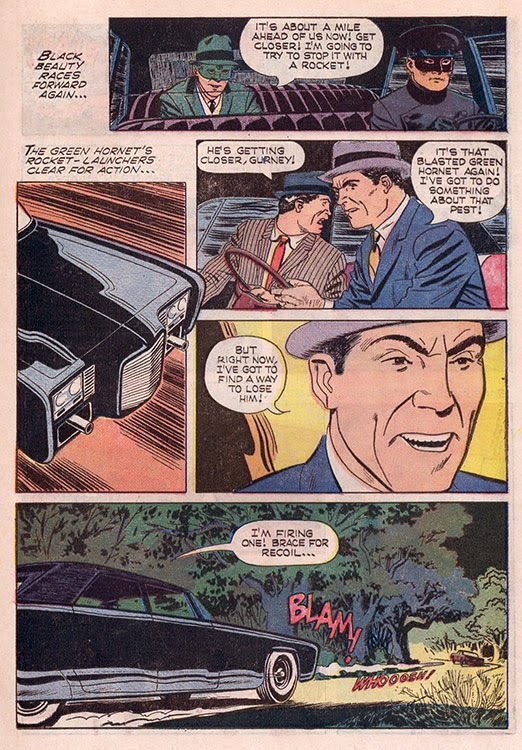 They simply have the car and weapons and use them.